There are plenty of films where the lead performance vastly outweighs the film it inhabits, and Wild is one of those films. 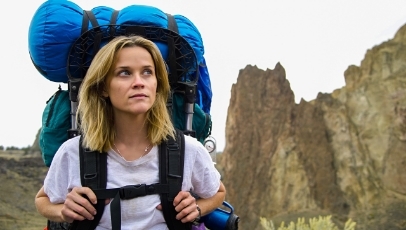 Based on a true story, it tells of Cheryl Strayed (Reece Witherspoon), a woman haunted by her past who decides to trek the 1,100-mile Pacific Coast Trail in order to cleanse herself of sin and heartbreak. Lead by a valiant, prickly turn by Witherspoon, Wild tries desperately to be a tale of physical endurance, but buckles under the weight of the heavy-handed flashbacks used to fill us in on what pushed her on the trail, from the death of her mother (a brilliant Laura Dern) to her turbulent marriage. It’s an approach that takes away from the crux of the narrative, and as hard as director Jean-Marc Vallée tries to blend the past with the present through dream-like voiceovers and memories fuelled by loneliness and reflection, he never quite pulls it off. But the film does have its moments, and it’s in the harsh terrain of Cheryl’s determination and forward-thinking that Wild’s light burns brightest, just not for long enough.